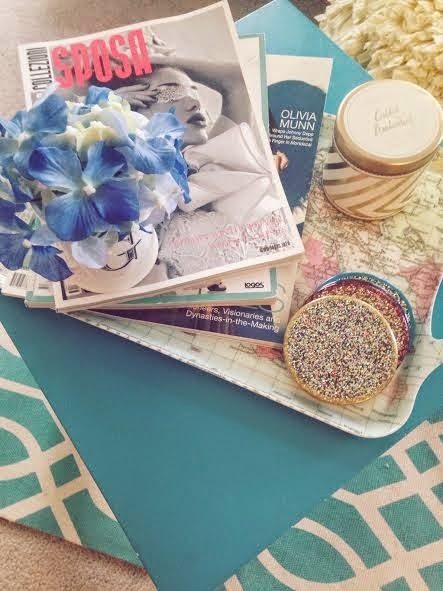 Whether you have a beautiful coffee table, or a small table like mine, decorations and merchandising can change the look AND tone of the room. 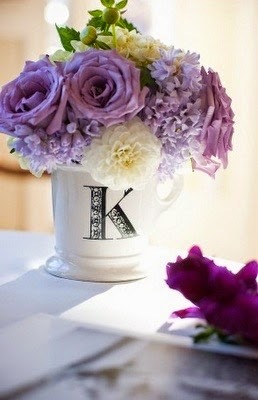 Putting flowers in a coffee mug is so different and looks great if you can cut the flowers and arrange them yourself. Find this monogram mug at Papyrus for only $5.00. Illume Candles are my favorite because they’re so pretty and smell amazing. 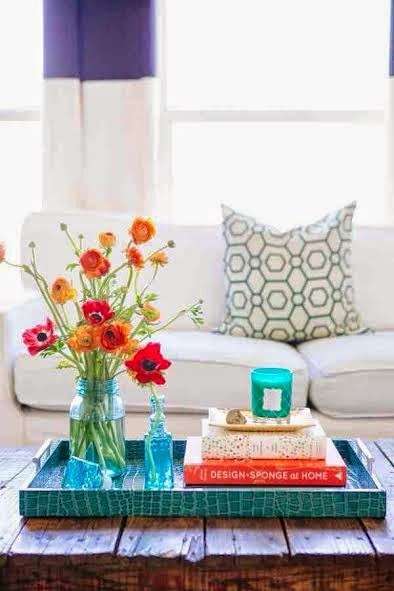 Spring is the perfect time to clean and re-decorate your home. I hope these tips can help you change the mood and tone of your adobe.